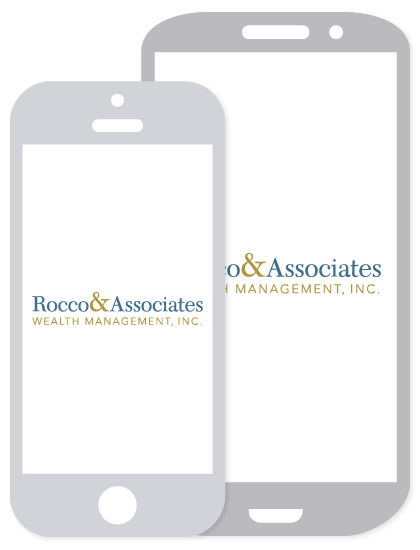 EJ's Economic Edits - Holiday Sales | Rocco & Associates Wealth Management, Inc. It has concerned me for years that the economic reports flooding our media channels during the holidays give an inaccurate picture of what the future will hold. Do not mistake this for a “Grinchlike” mentality. I enjoy spending the holidays with friends and family and adding another sweater to the closet as much as the next guy. However, is the increase in retail employment and sales during the holidays an indicator of what lies ahead? We are told to believe that a strong holiday sales season is a promising occurrence, with positive yearlong impacts. There is no doubt that the holiday season is a critical time of year for retailers that accounts for nearly half of their annual revenue. If we excluded holiday sales from a retailer’s balance sheet, they would look disastrous. During the same period, the stock market is relied upon for future guidance as well. In fact, economists have coined the term Santa Clause Rally to describe it. This surge in the market often occurs in the last week of December through the first two trading days in January. Some attribute this rally to investors being optimistic, others inflating stock prices investing their holiday bonuses and some attempting to capitalize on a spike in retail earnings due to holiday sales. Although the exact cause is hard to pin point, the occurrence is still widely talked about throughout financial markets. Let us take a look at just how important the holiday season is to the overall economy. To frame the discussion, consumer spending accounts for 2/3 of the country’s Gross Domestic Product. There should be no argument how important each and every one of us is to potentially spurring economic growth by way of our spending habits. However, researchers argue that holiday sales offer a false sense of security. A dollar spent in November and December is a dollar less that is spent in January and February. The other side of the equation is the job picture. Although traditional retailers are under intense pressure from online merchants like Amazon, Macy’s still hired 80,000 holiday employees in 2017 (albeit down from 83,000 last year). * This is a big reason the job’s numbers following the holiday season paint such a rosy economic picture, only to be cut back during the first quarter. This is where it gets interesting. For years forecasters and retail organizations have tallied up sales for November and December as a sum total. They don’t break out other items we would be normally buying, but lump everything into the holiday sales bucket. In order to get a better picture of the economic impact of holiday shopping, we need to look not only at total retail sales in those two months, but look at the net increase compared with a normal month. When we do, the multi-billion dollar forecasts are drastically reduced. Adding another layer to the discussion, is the idea of efficient markets. To put it bluntly, you sometimes receive things that others spent real money on that you don’t want and can’t use, often purchased at inflated prices. Could these dollars be put to better use at different times of the year? The ritual of giving gifts creates an inefficient allocation of resources (economists don’t like this). In fact, they even have a term for this behavior called deadweight loss. Don’t tell my wife, but it would make more sense to evenly distribute our buying patterns over a twelve month period. Especially if we did our research, price shopped and ensured what we were buying, was actually going to be put to good use. In conclusion, no one can doubt that each holiday season reigns in hundreds of billions of dollars for retailers and does spur economic activity. The debatable part is does it actually have longer lasting effects on the overall economy. I am personally not convinced that a surge during the holiday season should carry as much long term economic weight as it does. Holiday hires at retail stores lift employment and stimulate the economy, but it is often short lived. 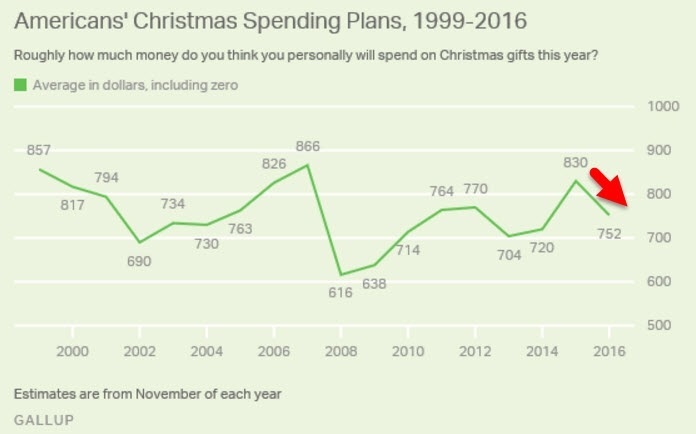 So from an economic standpoint, I would go out on a limb and say the economic activity during the holiday season offers up more doubt in my mind than optimism. But who doesn’t love Santa, who has been spreading feelings of joy and good tidings for years, without one ounce of care for the economics behind it. To that, “cheers” and keep the faith! The economic forecasts set forth may not develop as predicted and there can be no gurantee that strategies promoted will be successful.